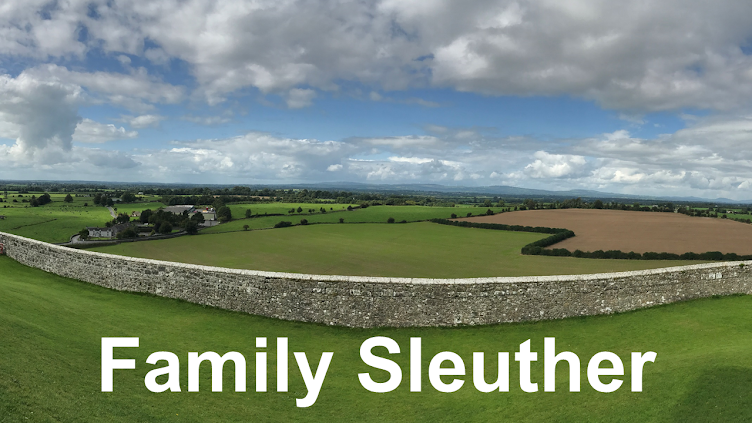 Family Sleuther: Have You Seen Us? Family historians makes lists. They keep tabs on research they've done and research they need to do. I have these lists, too. I also have a wish list. Like all genealogists, I'm interested in tracing my lines as far back as the paper trails will allow me. But, whenever possible, I'm also interested in getting a sense for who these people were. In the absence of firsthand accounts and stories, photographs provide a powerful assist. Nothing is more awing than uncovering a picture of someone from whom you descend and whom you've never seen before. It's fascinating to discern similarities - physical characteristics you likely inherited. It's interesting to witness history in black and white as told through clothing and background. Perhaps the subject is wearing a military uniform or is posing alongside the family homestead. The cliche rings true - a picture really is worth a thousand words. My wish list includes direct ancestors who lived during the age of photography, and therefore quite possibly sat for a photographer during their lifetime. The challenge is mapping out who inherited the family heirlooms including photo albums. George Henry Hawks, died 1906 in Benton, Arkansas FOUND! George C. Haworth, died 1896 in Cuba, Kansas FOUND! Phoebe (Lula) Jarvis Stephens Kennedy, died 1945 in Los Angeles, California FOUND! Francis Lamb Stephens, died 1923 in Maricopa County, Arizona FOUND! Susan Elizabeth (Day) Stevens, died 1919 in Idaho Springs, Colorado FOUND! William John Stevens, died 1916 in Idaho Springs, Colorado FOUND!